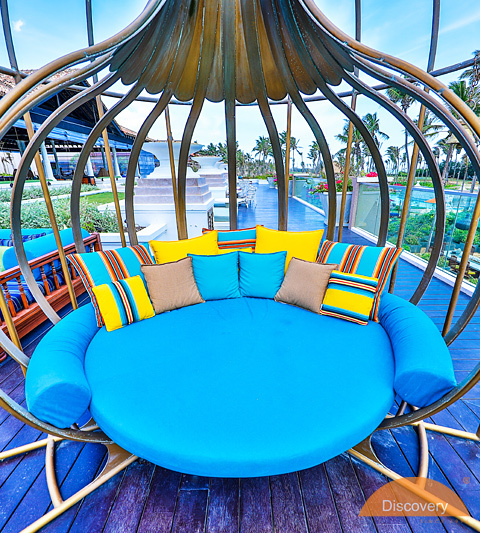 Sunbrella is the most proven fabric for both indoor and outdoor applications and has the widest spectrum of colors in the market. Discovery International Pvt Ltd has been specialized in providing solutions in Sun & Rain control systems in Sri Lanka since 1996 and we offer an impressive portfolio of products developed through our network of highly reputed specialized partners across the globe. Discovery uses only the best products when manufacturing which is in regulation with the stringent quality code. Sunbrella perhaps is the world’s only answer when Mother Nature vents her anger. A fabric strong enough to take on salt, wind, rain, dust etc. This fantastic fabric is available in a wide choice of colors and designs, and these high-performance fabrics would spark your imagination and taste for style. Sunbrella Furniture Range: Cushions, bolsters, upholstery, curtains, bed runners, wall paneling, lamp shades, bean bags etc. Fabric so beautiful, you want it in every room. 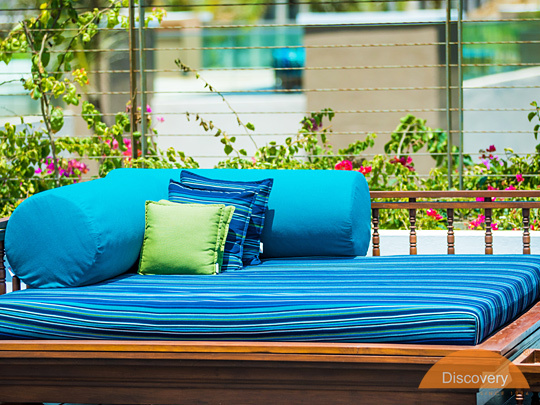 Discovery carries 40 of the most popularstyles from SunbrellaFurniture Range – indoor -& 40 styles from Sunbrella Awnings & Marine Range – outdoor – in our stocks in Sri Lanka, at any given time. Enrich your outdoor space with Sunbrella. Fabrics as stunning as the great outdoors, with the strength to withstand the elements and all of life's moments.